Thomas studied geology and geochemistry at the University of Münster (Germany) where he was awarded a doctoral degree in 1988. He joined the Institute for Chemistry and Biology of the Marine Environment (ICBM) of the Univ. Oldenburg as a PostDoc where he became researcher and lecturer later. From 2010 onwards, he is managing co-ordinator of the interfaculty Centre for Environment and Sustainability Research (COAST) of the Univ. of Oldenburg. Thomas´ research interests are on marine and coastal management, transdisciplinary action for sustainable development as well as international approaches to interdisciplinary higher education incl. development cooperation. This work is related to more than 30 national and international, mainly EU and German-African projects Thomas was involved in as lead beneficiary or partner. He was visiting lecturer for coastal and marine management at universities in St Petersburg, Russia, Stavanger, Norway, Cádiz, Spain, Nantes, France and Faro, Portugal. From 1998 to 2002, Thomas was Chairman Working Group Integrated Coastal Zone Management - European Geophysical Society. 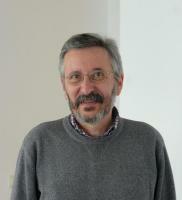 Since 2012, he is member of the Coordination Team of the Marine Spatial Management Research Network (www.msprn.net).